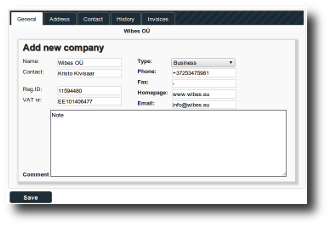 Myinvoices is an online invoicing software designed specifically to make online invoicing a straightforward and uncomplicated process. With a sole objective to deliver its user the quality which they desire while sending invoices and adding to their experience. We believe in making long lasting relationship with our users, therefore, the customer support provided by us will make you feel comfortable regarding any issue of invoicing. With regular follow ups, periodic reviews and our industry experts’ advice we make sure to keep you updated with the latest and emerging trends from the world of invoicing. What we deliver is the value to our customers as we know very well that we can’t exist without them. The simplicity and the ease of using MyInvoices enables you to focus on other major aspects like sales and revenue of your business instead of focusing on each and every accounting aspects of your invoices. This enhances your capabilities and helps to achieve major targets set by you. No matter how large or small your business is, we value all as same. 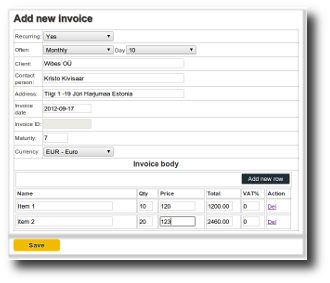 The services provided by MyInvoices can be utilized by an individual freelancer and by major firms as well. The good thing is that there is no differentiation in the quality delivered by us. We understand what it takes to start a business and how much effort is required to run it successfully as we have faced the same scenario.